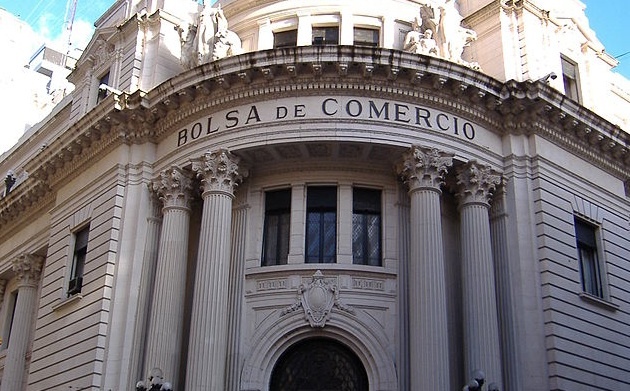 The Buenos Aires Stock Exchange played host to the Argentine Venture Capital Meeting yesterday, an annual presentation and networking event meant to connect Argentina’s financial markets and venture capital industries. The event was free for attendees and planned by financial social network Puerto Finanzas in collaboration with Buenos Aires-based VC fund Primary Ventures and the Buenos Aires Stock Exchange, the organisation responsible for the operation of the country’s primary stock market. Six panelists showcased their ideas on different subjects ranging from the role of central banks in global finance to money laundering and know-your-customer (KYC) policies. The meeting focused on bitcoin in an effort to bring members of both industries greater understanding of a topic that the main organizer, Puerto Finanzas founder Augusto Hassel, sees as increasingly relevant to VCs and financial professionals. Hassel said that while many entrepreneurs in Argentina are trying to launch new bitcoin ventures, these efforts have so far failed to gather traction. For attending members of the stock exchange, he said, the event was meant to serve as a primer on how bitcoin could affect their work. “I wanted to include bitcoin this year because I think it speaks to everyone at the event […] those trying to invest in the new bitcoin industry and those in the finance industry as I believe bitcoin will transform this industry.” he said. Silvia Torres Carbonell, director of the IAE Business School Center for Entrepreneurship; Carlos Lerner, head of business development and SMEs in the Buenos Aires Stock Exchange; Diego Gonzalez Bravo, managing partner at Cygnus Capital; Carlos Maslatón, head of Xapo Network; Lisandro Bril, managing partner at AxVentures and​ Holdinvest Tech Funds, and; Francisco Buero, cofounder and COO of Bitex.la were present for the discussion. Maslatón, who delivered the presentation on bitcoin, told CoinDesk his goal was to show attendees how bitcoin provides a private, self-regulated, worldwide monetary system that competes but does not seek to combat other currencies, government-backed or not. Maslatón explained that bitcoin is now in its third wave. The first, he said, took place between about 2010 and 2013 when just the existence of bitcoin was a goal. This year has been a short wave; a year of price consolidation, he said, and the beginning of a bullish period toward the digital currency now that bitcoin has resisted many attacks from regulators worldwide, from the mainstream media and public opinion. In its third phase, Maslatón predicts that bitcoin won’t be a mere investment instrument but that will also “operate as a normal currency” – something which Xapo will help it to achieve. Latin America is often cited as the market with the greatest potential for bitcoin to flourish. Speaking to CoinDesk, Maslatón said that regulated markets, central planning, statism, socialism, banking crises and inflationary and deflationary recessions have created what has become a common mentality in the region where citizens favor the informal economy. He added that Xapo’s statistics show the number of bitcoin users in Argentina as being “overrepresented” in comparison to the 41 million people that live there. Still, for people in countries like Argentina or Venezuela that can’t purchase foreign currencies outside the black market or transfer funds freely, bitcoin has been the solution in most cases, Maslatón said. Note: Some comments were edited for clarity.